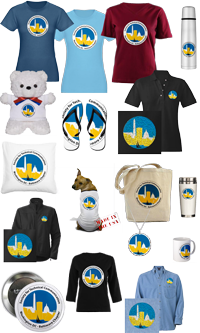 The Washington, DC – Baltimore (WDCB) Chapter of the Society for Technical Communication (STC) serves members in the Washington, DC metropolitan area (the District of Columbia, Virginia, and Maryland) and the Baltimore metropolitan area (Baltimore, Eastern Shore, and Chesapeake Bay). We also have members who live in California, Delaware, Florida, Louisiana, Massachusetts, New Jersey, New York, Pennsylvania, South Carolina, Tennessee, Texas, West Virginia, Australia, Canada, France, India, and Italy! 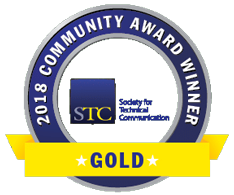 The Society for Technical Communication (STC) is a 501(c)(3) not-for-profit corporation for those interested in the arts and science of technical communication. 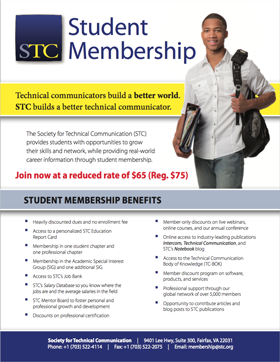 STC is a professional society of content strategists, writers, editors, and others who communicate technical content. See the WDCB Technical Communication Competition website for information about the competition. 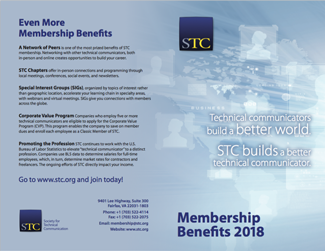 Why should you join STC and the WDCB Chapter? The WDCB chapter offers opportunities to network with others in your field, to explore your interests, and to expand your education and skills. STC has the resources you need to help you do your job better and move your career forward. 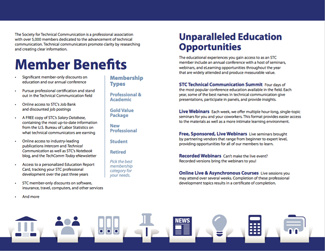 Through education with STC, you can become a Certified Professional Technical Communicator™ (CPTC). The STC Washington, DC – Baltimore (WDCB) Chapter is always seeking sponsors for our monthly meetings. If you're interested in promoting your business or organization while supporting the tech comm (#techcomm) community in the Washington, DC – Baltimore area, we want to hear from you! Add your name or company to our partners and sponsors for the year. Learn how to support us as a Location Sponsor or a Platinum, Gold, Silver, Bronze, or Copper Financial Sponsor! For answers to frequently asked questions, see our FAQs.